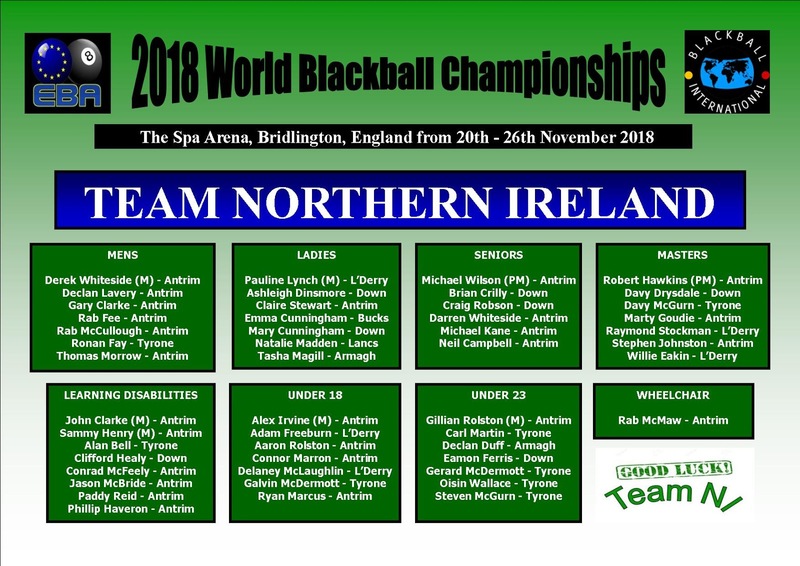 The very best of luck and safe journeys to everyone travelling with Team NI to the 2018 Blackball International World Championships of Pool next Monday 19th November. All the fixtures, results and stats will be available on LeagueAppLive, enter site name BBI and select "Live". A hectic fortnight for the NIPA as starting tomorrow Tuesday 13th we have the Specials Festival in the Lodge Hotel, Coleraine followed by the BET McLEAN NI Individual Championships for Mens, Ladies, Seniors & Masters.